Pictured here are two coffee cups. 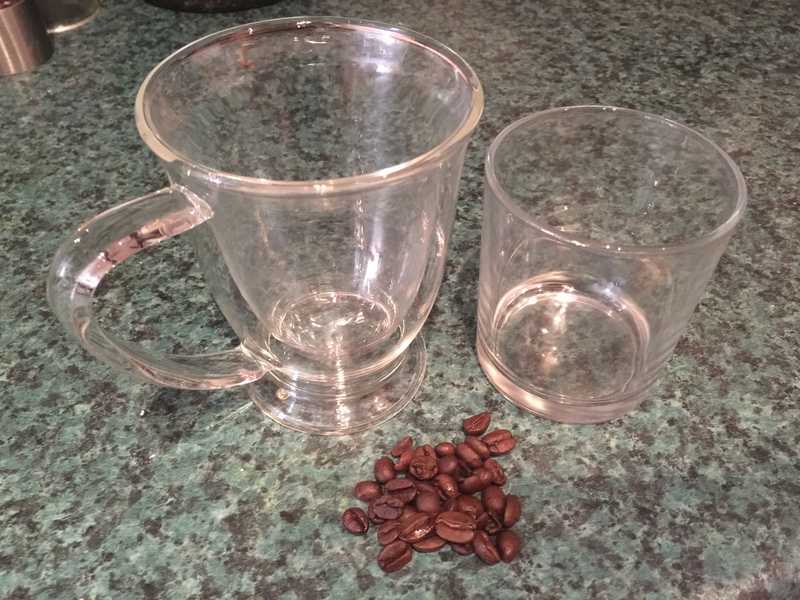 One of them is a double walled coffee cup, not cheap, which is made for coffee. It has a serviceable handle but more importantly is designed so the heat from the coffee does not scald your hand. So the need for a double walled glass is actually superfluous. If you have a well made coffee, you don’t need it. In terms of enjoyment, I want to feel the warmth from the glass as I sip on my double shot macchiato or whatever I’m drinking. Its the same with my faith. I want to feel what is happening. Those who argue for a purely rational faith, based entirely on the mind, are ignoring the reality of how God has made us. With emotion. And experts tell us many of our decisions are based on our emotions. Those emotions can often determine how we interpret the situations we are confronted with, and therefore how we behave. Feeling compassion drives us to implement justice, sensing awe drives us to worship, empathy drives us to listen. For some Christians I wonder if the overriding aspect in their faith is actually fear. They fear how they truly feel, and how truly being open to God would make them feel, and therefore behave. Which is not to say we should be tossed in the wind, influenced by how something feels. But how we feel should be part of the discussion, and there should be no shame in that.